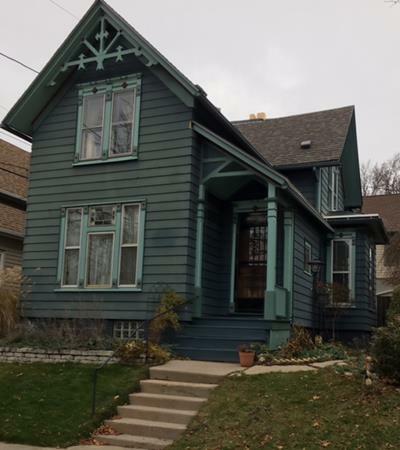 They lived in the Eastside home for 27 years, a comfortable Milwaukee Queen Anne Victorian (cross gabled roof design) with 1,800 square feet of living space – and no garage. They lived the urban walking life before it was fashionable. Michael worked for the Department of City Development, the city agency responsible for planning and development. Linda worked in the field of education. If you frequent and enjoy the Milwaukee Riverwalk, thank Michael, he was instrumental in making it possible. The boat house used by the Milwaukee Rowing club (off of Commerce Street on the Milwaukee River) is named in his honor. On early retirement, Telluride, Colorado became their new home. Here they constructed a 1,800 square-foot, two-level home situated on a hillside with a view of the Rocky mountains. Someone always has it better, someone always has it worse. If you think about and live in the moment be thankful, you are here. Michael is no longer here. He passed away shortly after he and Linda moved to Telluride. And so begins the tale of living small. After a year of Telluride living, Linda moved to what she refers to as her Hippie Crash Pad (HCP). I won’t give away Linda’s age but she is hippie eligible. 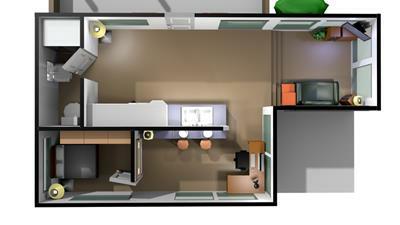 At 450 square feet (you read correctly) the HCP is 75% smaller than any home Linda has lived in for the past 40 years. This is by design and choice not financial constraints, a choice to live with what is needed as opposed to what is wanted. The monthly cost for a 450-square-foot, modern day hippie pad? – $2,775.00. Unlike real estate television shows and traditional real estate agents, we don’t want to sell you a home. Our job is to help our clients buy the right home, to find their feast. If you have an interest in living smaller than societal marketing pushes you, consider the books below as one resource. Living large, small or somewhere in-between is not a right or wrong decision but as with most everything we do with our clients, it is about gathering information to make an informed choice. It should be obvious to readers of this newsletter that we approach the home-buying process very differently from the traditional real estate system. The number 1 difference is we work only for buyers with no conflicted loyalties about whom we represent. Because money is involved, loyalties really matter. We’re available for coffee to discuss how to purchase your millennial (or hippie) crash pad and the benefits of owning (in most, not all cases) vs. renting. Contact Seamus or me as we have each designated generation covered. We’ll drink some “Joe” and answer your questions. P.S. If you like our newsletter and find it interesting and informative please share it with others and invite friends and family to be added to the list. To be added I will need an e-mail address.